Three University of California students have been selected by UC Agriculture and Natural Resources as Global Food Initiative (GFI) fellows for 2017-18. 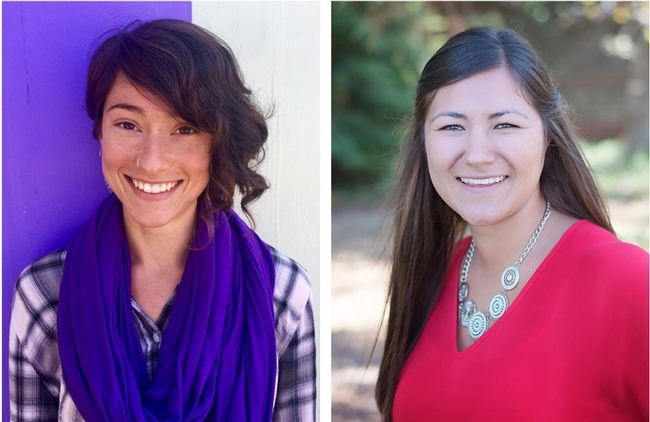 UC Berkeley graduate students Kristal Caballero, Elsbeth Sites and Sonya Zhu are the GFI fellows who will work with ANR academics and staff to address the issue of how to sustainably and nutritiously feed a world population expected to reach 8 billion by 2025. 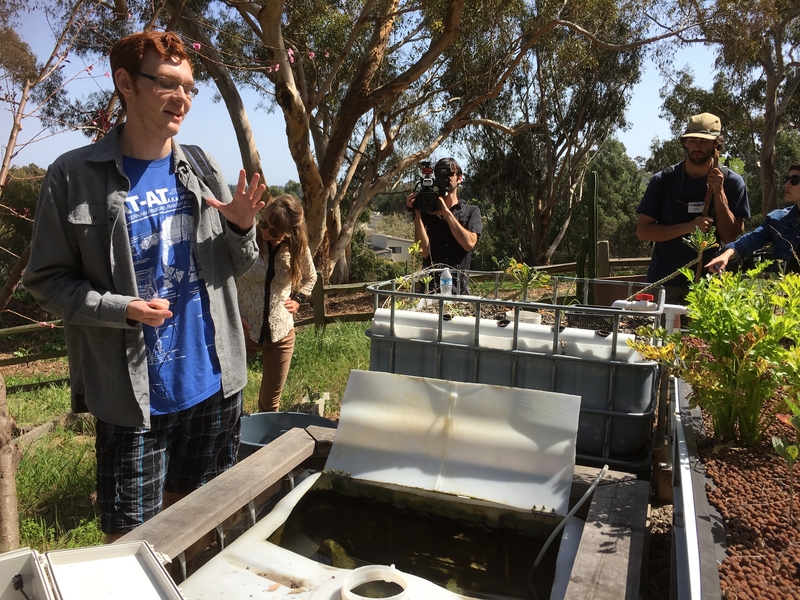 The GFI fellows are part of a group of 50 UC graduate and undergraduate students working on food-related projects at all 10 UC campuses, UC Office of the President, the Lawrence Berkeley National Laboratory and UC ANR. UC President Janet Napolitano launched the systemwide Global Food Initiative program in 2014 with the aim of putting UC, California and the world on a pathway to sustainability. 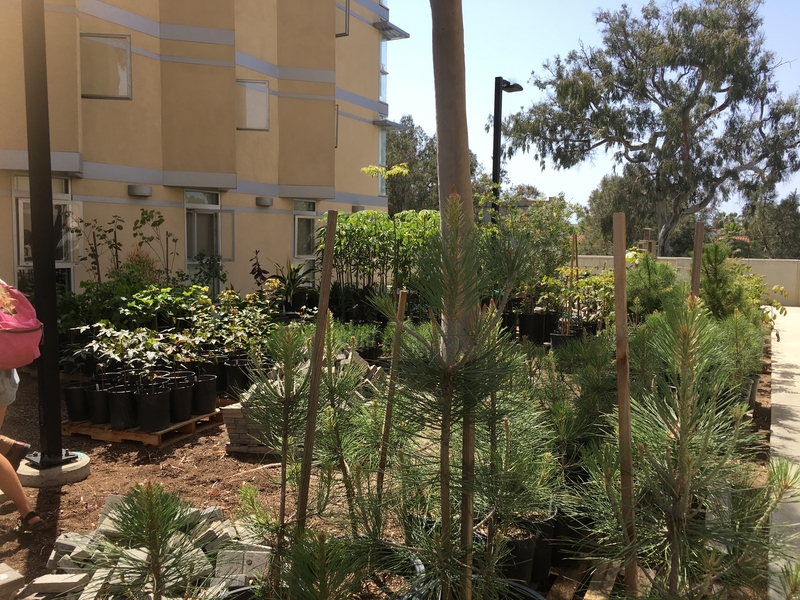 Each participant receives a $4,000 award to help fund student-generated research, projects or internships that support the initiative's efforts to address food security, health and sustainability. The GFI fellows gather for lectures, field trips and networking events. 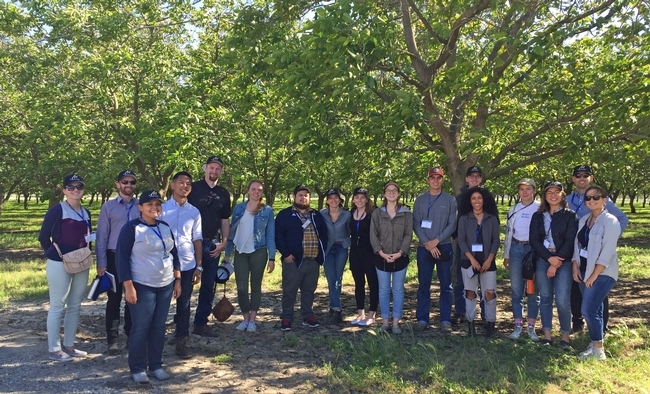 Last spring, UC ANR hosted the fellows on a tour of the Sacramento-San Joaquin River delta region to learn more about the relationships between food, farming and the environment. 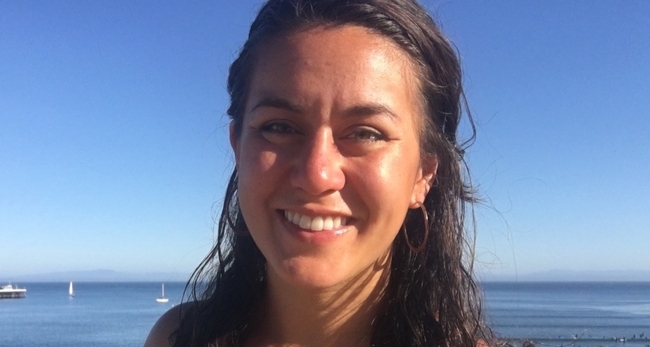 Kristal Caballero of San Jose is a graduate student at the UC Berkeley School of Public Health. 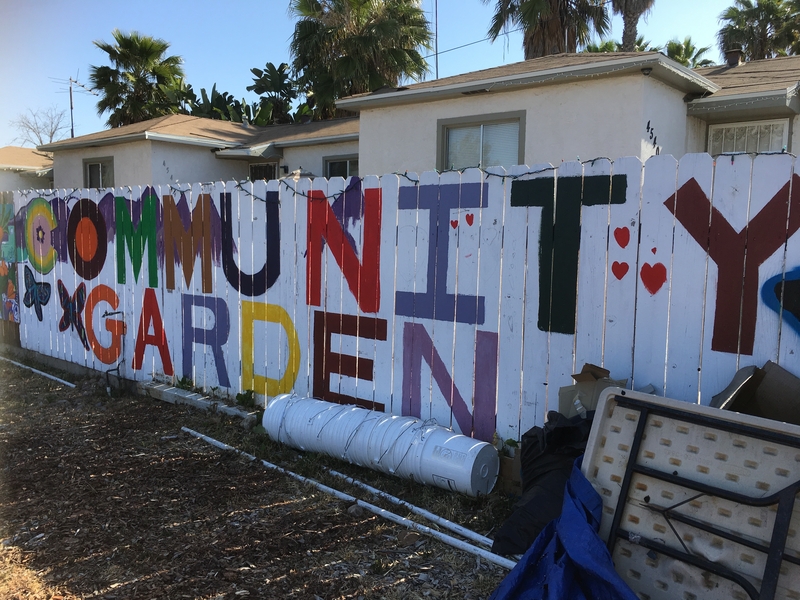 Working with UC ANR's Strategic Communications team, Caballero will focus on community outreach and education to educate the public about nutrition, food security, federal food programs, food waste, childhood obesity prevention and related subjects. 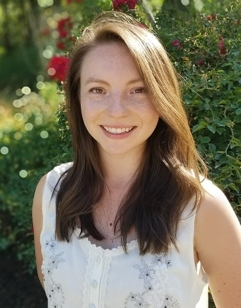 She will use a variety of communication tools to publicize the results of Nutrition Policy Institute research on nutrition and food issues and to inform policymakers. 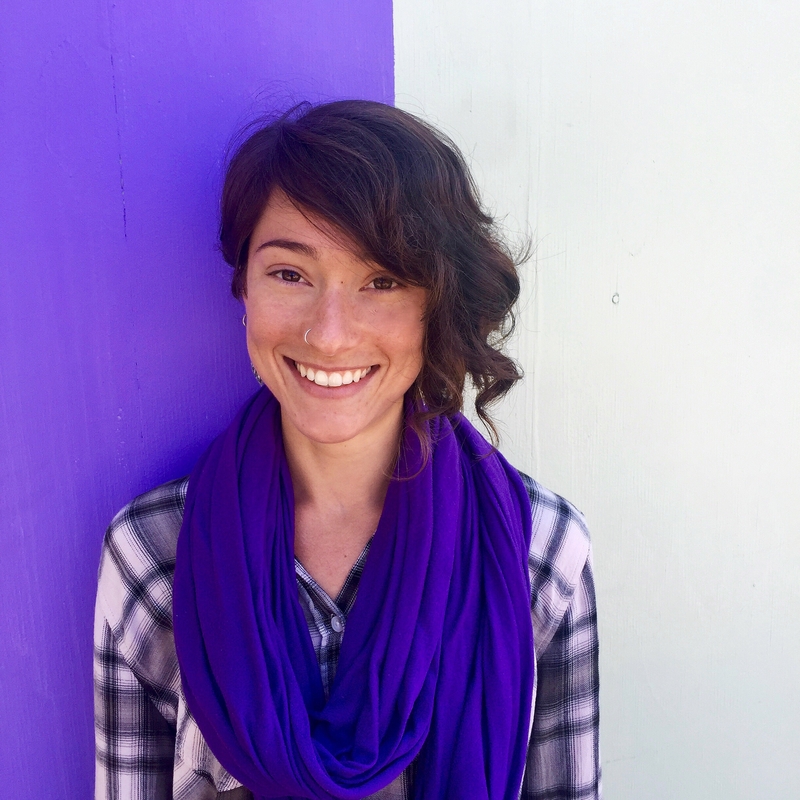 Elsbeth Sites of Benicia is a graduate student at the UC Berkeley School of Public Health. 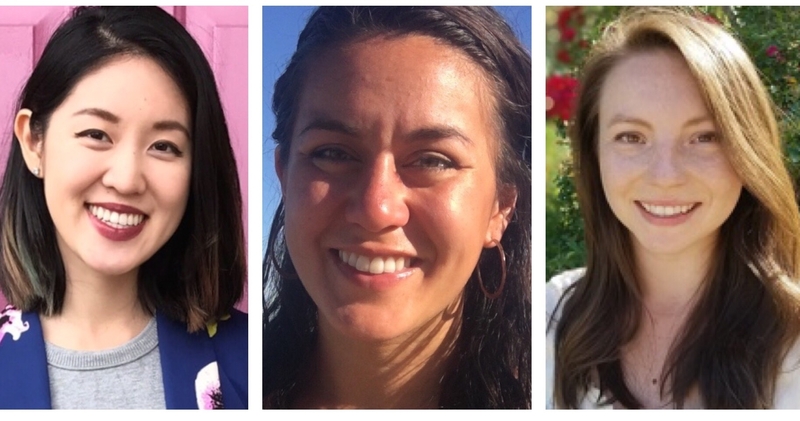 Working with Nutrition Policy Institute researchers, Sites will explore how sleep affects child obesity by examining social and cultural factors that may impact Mexican-American children's sleep and, in turn, how sleep affects their diet and physical activity. 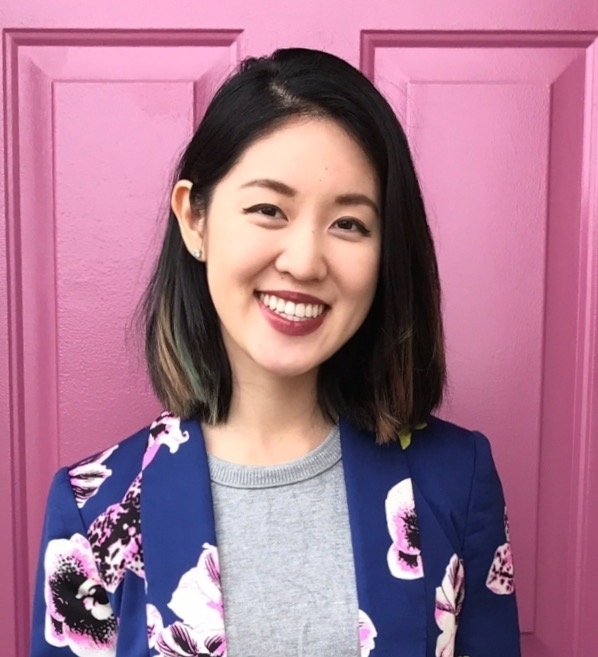 Sonya Zhu of Iowa City, Iowa, is a graduate student at the UC Berkeley Goldman School of Public Policy. At the Nutrition Policy Institute, Zhu will conduct a secondary analysis of the Healthy Communities Study (HCS), an observational study of more than 5,000 children ages 4 to 15 years recruited from 130 communities across the U.S. in 2013-2015. 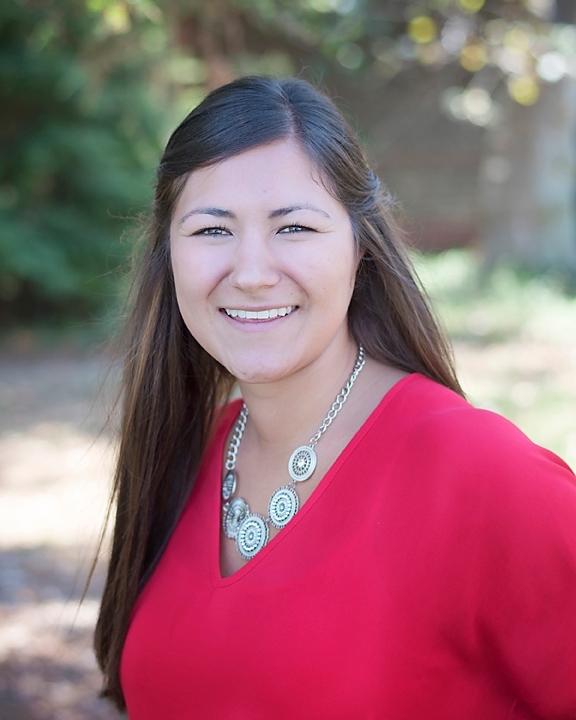 She will be examining the effect of household food insecurity on children's dietary behavior and physical activity. “Eighty percent of waterfowl depend on agriculture for food,” said Dawit Zeleke, second from right. UC Global Food Initiative student fellows from University of California campuses throughout the state gathered for a springtime field trip in the Central Valley to learn more about the relationships between food, farming and the environment. The day-long tour, hosted by UC Agriculture and Natural Resources, began at a farm that is maintained to support wildlife in the breezy Sacramento-San Joaquin River delta region. The GFI fellows also viewed a habitat restoration project at LangeTwins Winery then watched freshly harvested cherries being processed at Morada Produce's packing plant. They wrapped up the day with a tour of a demonstration garden and a discussion of nutrition education at the UC Cooperative Extension office in Stockton. 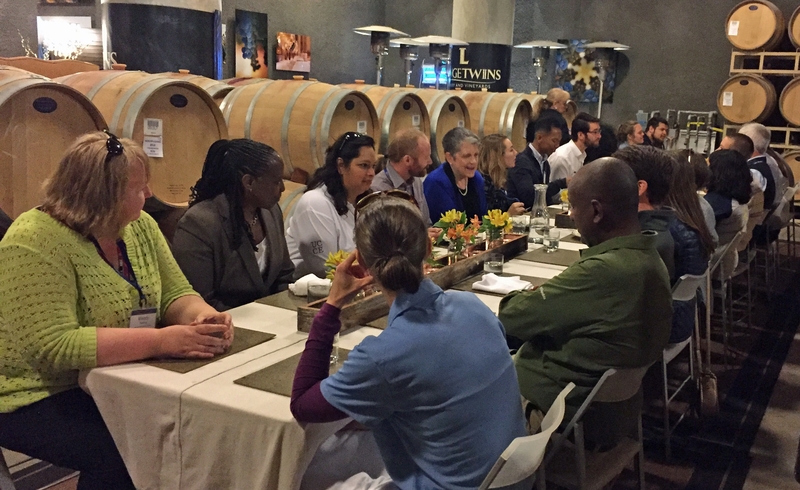 UC President Janet Napolitano, who, along with UC's 10 chancellors, launched the Global Food Initiative in 2014, met with the 17 fellows for lunch at LangeTwins Winery. 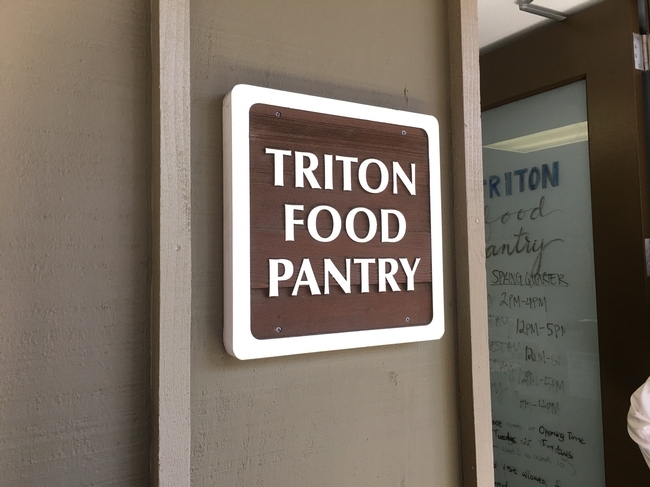 “We started the Global Food Initiative several years ago with the goal of creating a pathway to a sustainable, nutritious food future for the planet. 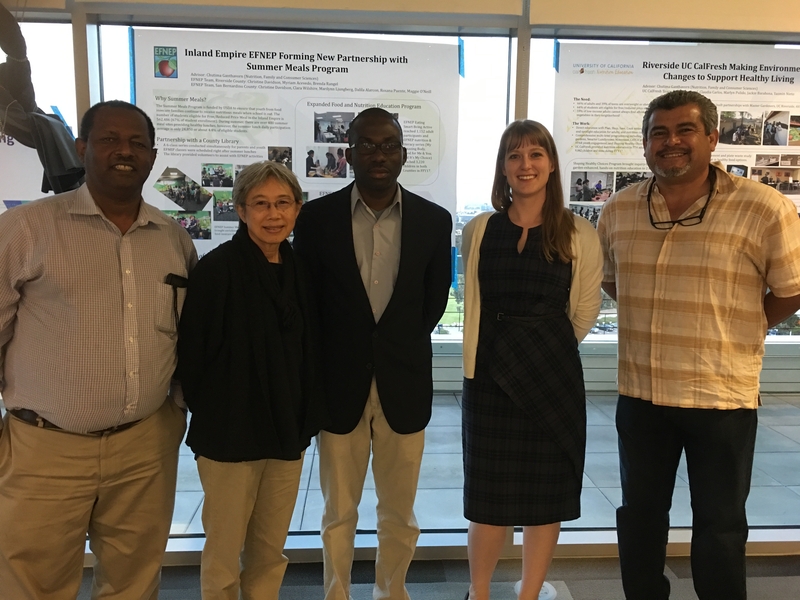 A small, modest goal,” Napolitano said, adding that she is excited to learn about the fellows' projects. The GFI fellows are working on projects that range from raising awareness about food production to analyzing the effects of climate change on pollination, and from efforts to make soils safe for growing food in urban areas to using food waste to fuel batteries. 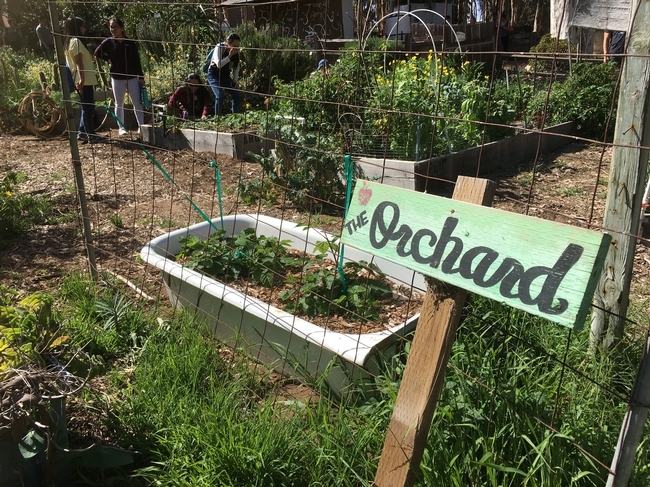 UC Merced senior Ever Serna's GFI project is to educate his fellow college students about where food comes from, before it gets to the grocery store. Reid Johnsen, a third-year Ph.D. student in agricultural and resource economics at UC Berkeley, Global Food Initiative fellow for UC ANR, and participant in the Graduate Students in Extension program, is working with UC Cooperative Extension in Sonoma County to study ranchers' preferences for different payment structures for conservation easement to compensate them for the ecosystem services provided by their land. President Napolitano visited with the GFI fellows over lunch. 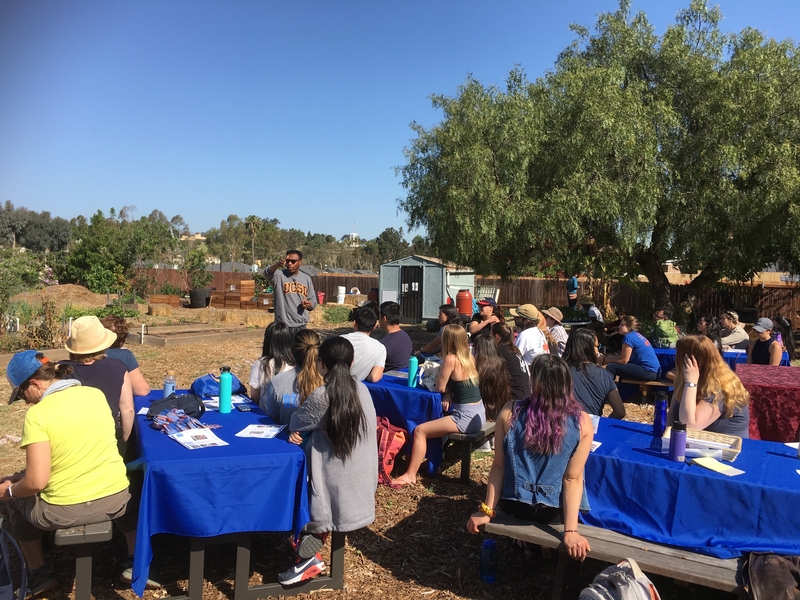 “I thought it was interesting to see a lot of different agricultural production systems,” said UC Santa Barbara senior and campus GFI ambassador Bryn Daniel, who works with student activists on student food access and housing security issues. 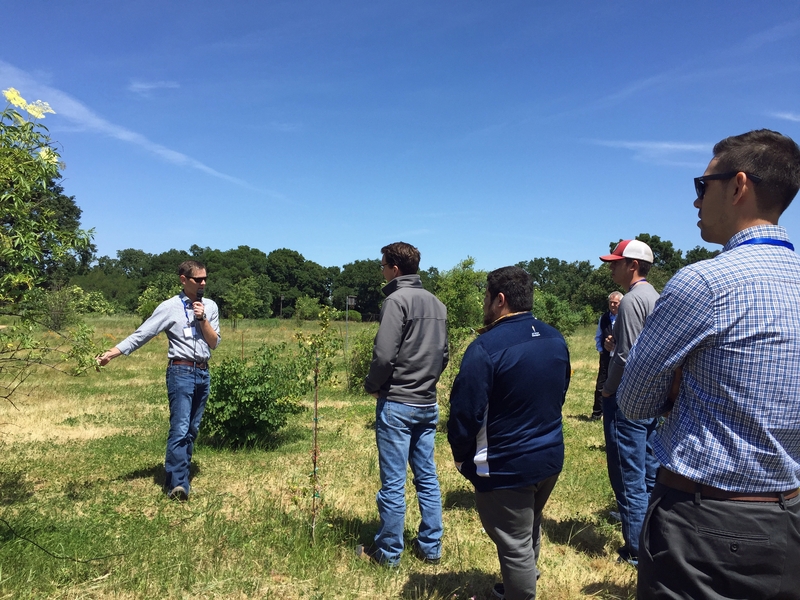 In addition to learning more about food production, the outing gave the fellows an opportunity to network with peers from other campuses. “That's what I liked about today's meeting, just meeting everybody and getting these fantastic connections,” said Ryan Dowdy, a third-year Ph.D. student at UC Davis who is converting food waste into energy-producing microbial fuel cells. 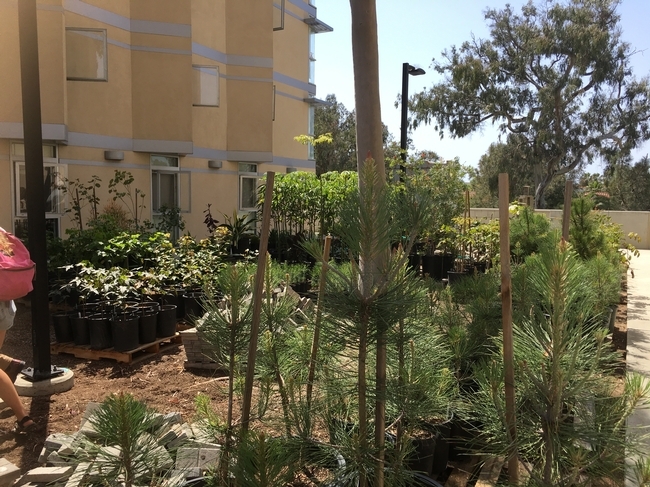 “I think this program, and especially the fellowship, is really important for young scientists who dive into this really huge subject of global food,” said Claudia Avila, a graduate student at UC Riverside who studies trace metals in urban agricultural soils. 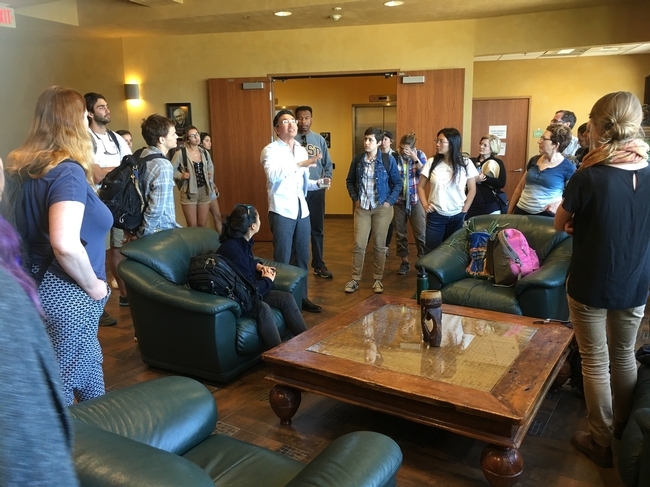 In welcoming the UC GFI fellows, Glenda Humiston, UC vice president for agriculture and natural resources, said, “I have a feeling a lot of you aren't familiar with our division. As I travel around the state to different campuses, I keep being told that we're the best kept secret, which I personally do not think is a good thing." Aaron Lange, left, explains that he planted the elderberry bush to create habitat for the threatened valley elderberry longhorn beetle. Michelle Leinfelder-Miles, UC Cooperative Extension delta crops advisor, introduced Dawit Zeleke, associate director of conservation farms and ranches for The Nature Conservancy, who explained why he farms 9,200 acres of corn, triticale, potatoes, alfalfa and irrigated pasture to enhance foraging habitat for sandhill cranes and other wildlife on Staten Island. 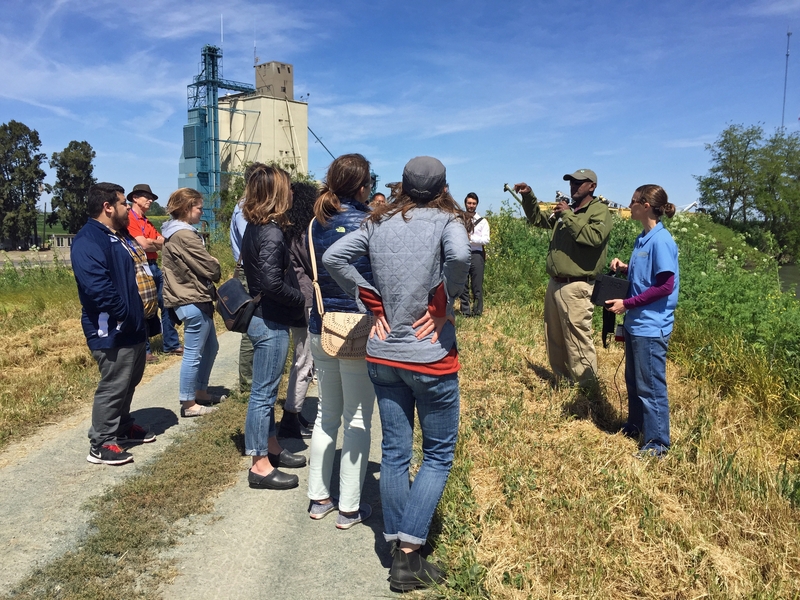 The Nature Conservancy partners with UC Cooperative Extension along with the U.S. Fish and Wildlife Service, the U.S. Geological Survey, California Department of Water Resources, Oregon State University, UC Merced and UC Davis to study the relationships between agriculture and natural resources. Randy Lange, on right, said, "We reuse our water as much as possible." Waste water from the winery is captured and used to irrigate vineyards. En route to lunch, Paul Verdegaal, UC Cooperative Extension viticulture advisor for San Joaquin County, described the Lodi region's wine industry. There are about 750 growers, many of which are small family operations. While 10 to 15 acres used to be typical vineyard size, most have 100 acres to be sustainable and one family member works at an outside job. “Agriculture is a tough job and there is no guaranteed income,” Verdegaal said. About 40 percent of the zinfandel in California is grown in the Lodi region, but there are several wine grape varieties planted. 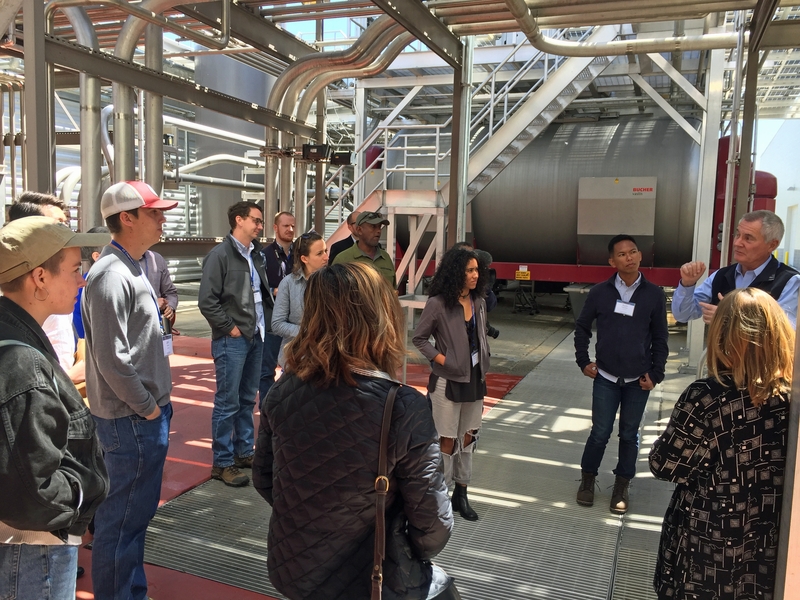 After eating lunch at LangeTwins Winery in Acampo, the GFI fellows took a tour of the winery with the fourth- and fifth-generation owners, Randy Lange and Aaron Lange. The Langes are founding members of the Lodi Rules Program, which helps growers produce grapes and wines in a manner that is environmentally respectful, socially sensitive and economically sound. They pointed out an array of solar panels covering the grape press room that provide electricity. The Langes are planting native plants around the winery to reduce sedimentation, improve water quality and restore wildlife habitat along the Mokelumne River. The cluster cutter gently separates the cherry clusters into individual cherries. When the GFI fellows visited at the end of April, sweet cherry harvest had just begun in Bakersfield area orchards, and cherries were being packed and shipped in San Joaquin County. “Hemmed in by rain to the north and heat to the south, cherry season is only eight to 10 weeks long,” said Joe Grant, emeritus UC Cooperative Extension farm advisor for San Joaquin County. “While the Bing variety is still the mainstay of the California cherry industry because of its excellent eating and shipping quality,” said Grant, “acreage of other high quality and earlier-maturing varieties has increased in recent years to lengthen the harvest season. But Bing is still king.” Asked about the effects of climate change on cherries, Grant explained that warmer temperatures are reducing the number of winter chilling hours, which cherries need. Morada Produce uses waste water from the cherry processing plant to water these walnut trees, said Scott Brown, fifth from left. The fellows saw the hand-picked fruit being processed for packing at Morada Produce, a family farm in Linden that also grows walnuts, peppers and onions. 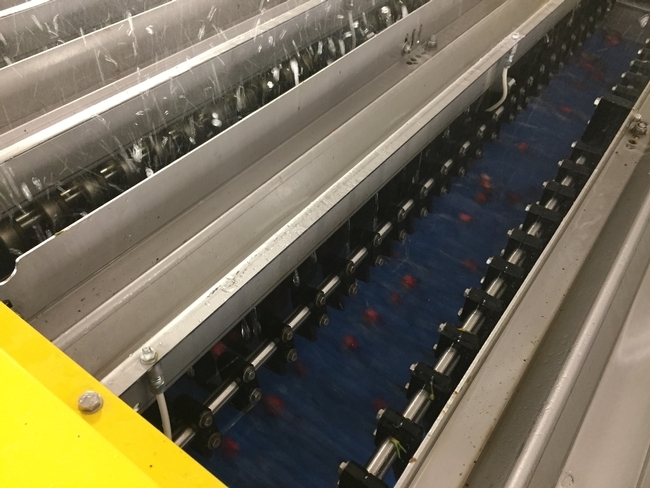 “Keeping produce cold is key to maintaining quality,” said Scott Brown, Morada's production manager, as the fellows watched fresh, cold water rain down onto the freshly picked sweet cherries. The leaves and stems floating to the top were removed as the red clusters glided in the water to the cluster cutter, which gently separated the clusters into individual cherries. Gently conveyed through the plant in flowing water, the cherries were sorted by size and quality at the highly mechanized facility. Air ejectors spit out rejected fruit, so only 70 percent makes it into a packed box. “Fruit picked on Monday is packed Tuesday, then shipped to Korea, Japan, Australia and other export markets to be eaten by Friday,” Brown said. The fellows were fascinated to see the steps taken to ensure high-quality cherries are cooled, sorted and packaged for shipping to stores and consumers. “It was just so much more complicated than I knew,” said Jess Gambel, a third-year Ph.D. student at UC San Diego who is studying the effects of climate change on bee pollination in squash plants. 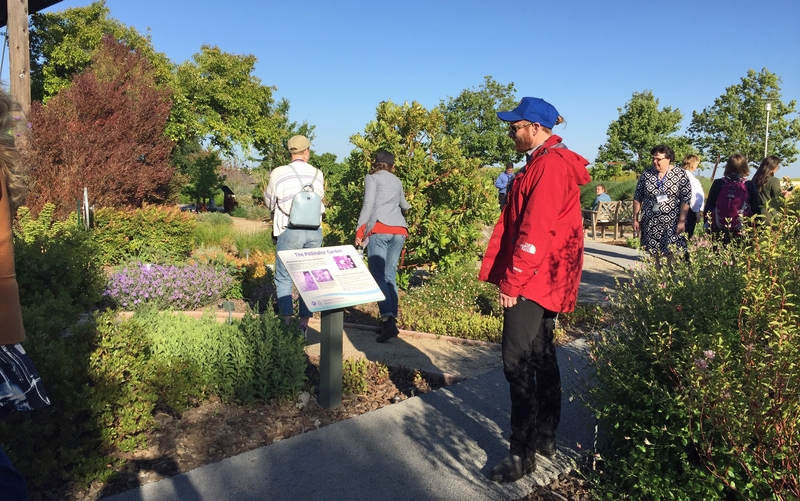 UC Berkeley graduate student Sarick Matzen reads about the brightly colored plants in the demonstration garden that attract bees, butterflies and other pollinators. The tour wrapped up at the UC Cooperative Extension office in Stockton, with a discussion about how UC CalFresh and the Expanded Food and Nutrition Education Program help low-income Californians attain adequate nutrition and food security, followed by a tour of the demonstration garden maintained by the UC Master Gardener Program volunteers. “There are more pollutants in urban runoff than in ag runoff,” said Karrie Reid, UC Cooperative Extension landscape horticulture advisor in San Joaquin County. 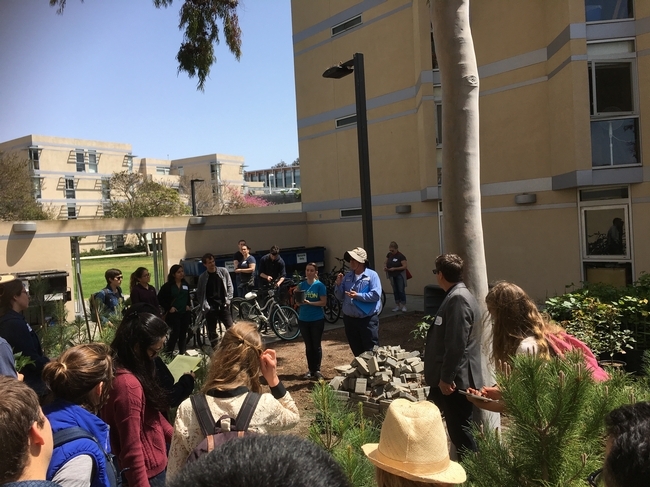 Reid described how she and the UC Master Gardeners work with home and community gardeners to reduce pesticide and water use, and noted that a Water Use Classification of Landscape Species plant list, based on UC research, is available to help gardeners choose landscape plants. This is the third class of GFI student fellows. 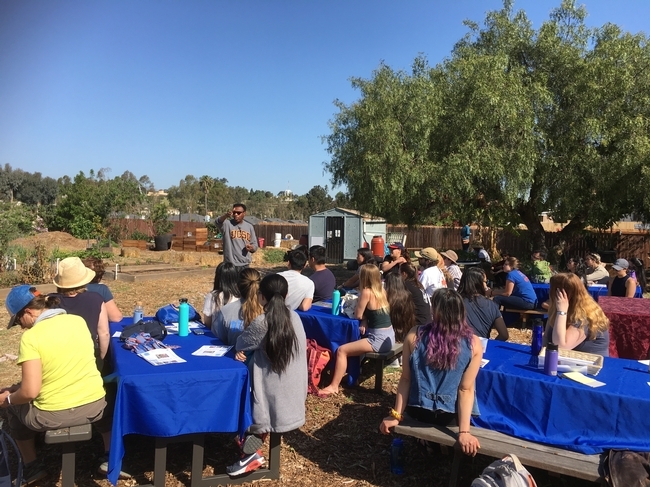 The undergraduate and graduate student fellows, representing all 10 UC campuses plus UC Agriculture and Natural Resources and Lawrence Berkeley National Laboratory, have helped further UC's Global Food Initiative efforts to sustainably and nutritiously feed the world's growing population by working on food-related projects and raising awareness of this critical issue. 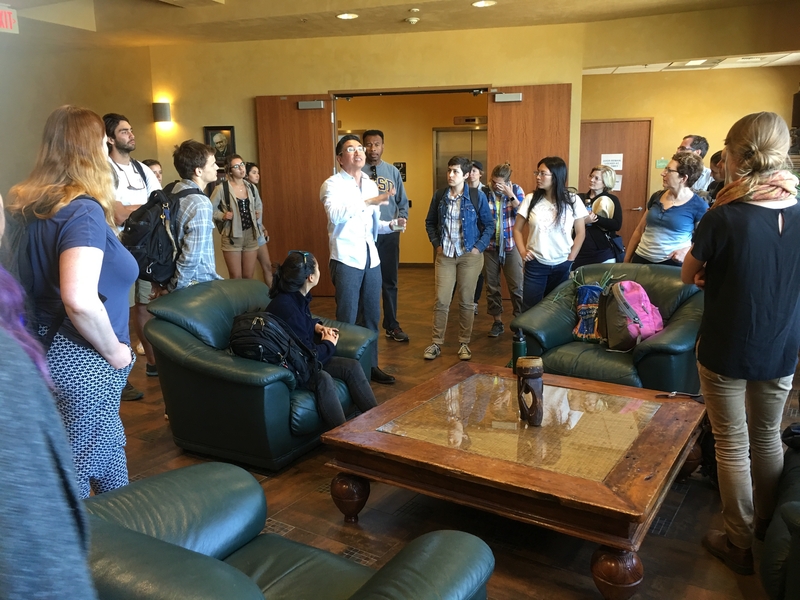 UC President Napolitano, center in blue blazer, met with GFI fellows at LangeTwins Winery during their agriculture tour. Did you know that a banana tree is not really a tree? It's a giant perennial bulb that grows to maturity in less than a year, producing one flower that becomes one huge bunch of bananas. I learned this fact last month from banana growers while visiting the home of organic bananas, the Dominican Republic. 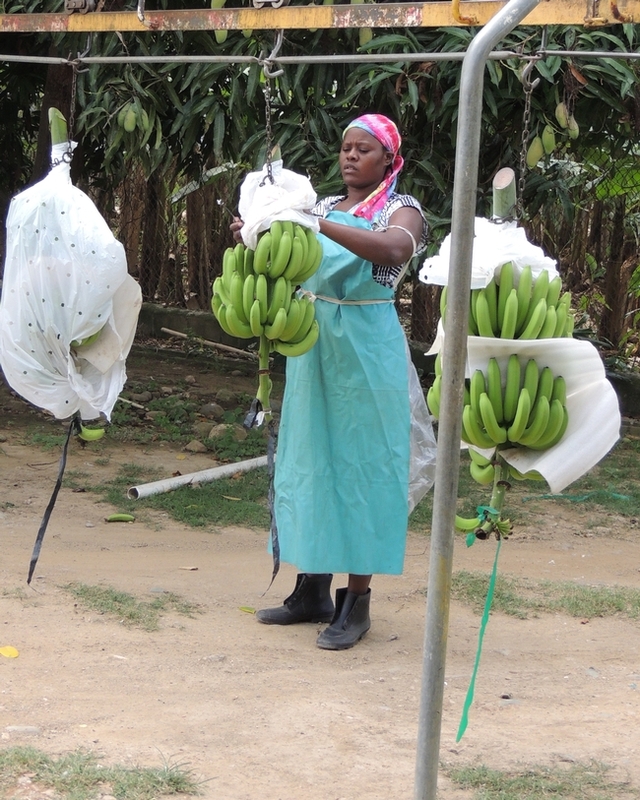 I was invited by a US AID Farmer-to-Farmer project to spend a couple of weeks as a volunteer in the Dominican Republic, primarily to work with the Banelino Banana Cooperative. Banelino is a banana production and exporting company comprised of approximately 320 mostly small-scale banana producers in the northwest section of the country, near the border with Haiti. All producers are certified, or seeking, organic, fair trade, or Global Gap certifications. Eighty percent of the bananas grown by Banelino are certified organic, and most of them are fair trade certified. 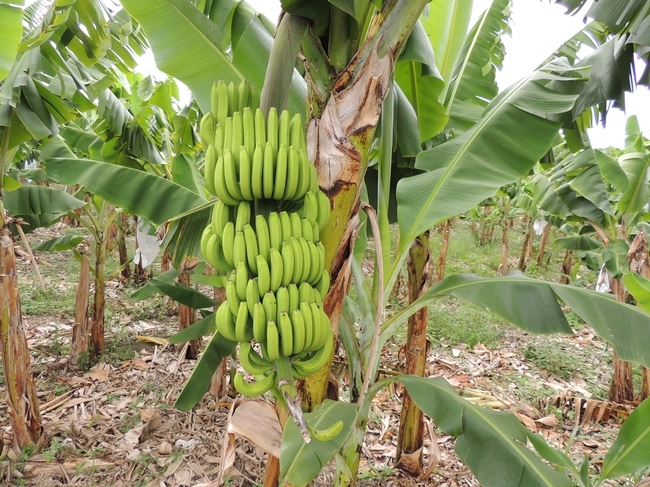 The primary export destination for Dominican Republic organic bananas is Europe. The growers have been impacted by climate change problems, including strong winds, more frequent and intense droughts and record high temperatures. My assignment, based on my work as UC Cooperative Extension Agritourism Coordinator, was to help Banelino assess the potential for successful agritourism development to diversify their income and carry them through hard times. Like farmers all over the world, the Banelino banana growers have a story to share with visitors. Part of the story is the fascinating revelation of the annual growth cycle of the banana plant; the other part of the story is about the community. I learned the true meaning for the words "fair trade." With the premium, or the added income, that Banelino receives by selling in the fair trade program, the company is able to provide schools, clinics and other social programs for the banana grower and banana worker families. 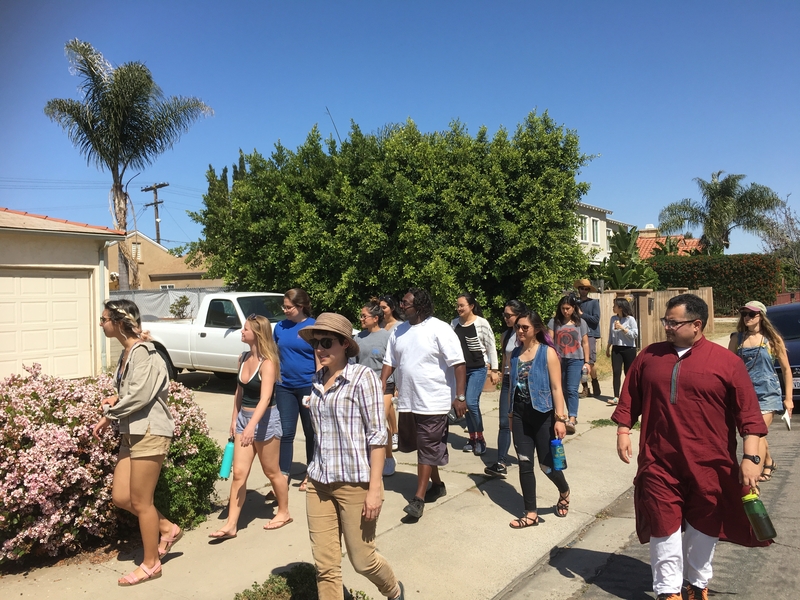 We visited schools and talked with teachers, seeing primary grades classes smaller than most California classes, with children engaged in learning. 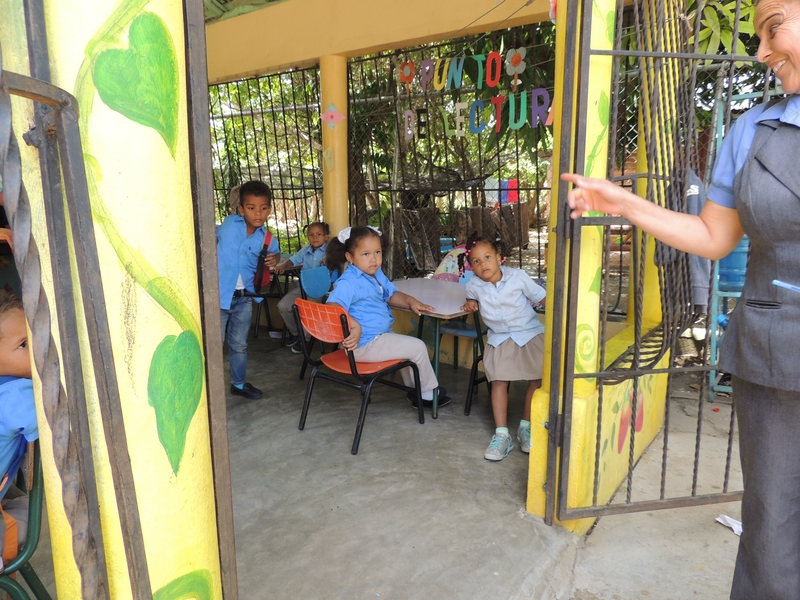 We visited a school for special needs students, paid for through the Banelino fair trade income, that was so modern and well-equipped it would be the envy of most California special education teachers. 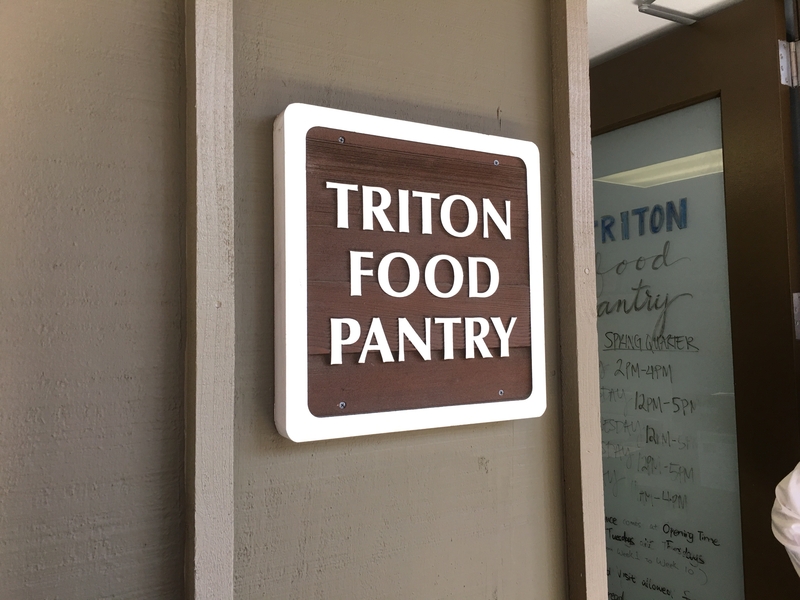 It had a colorful art room and a fully equipped, small-scale bakery with mixers and ovens for a training program for the older youth. 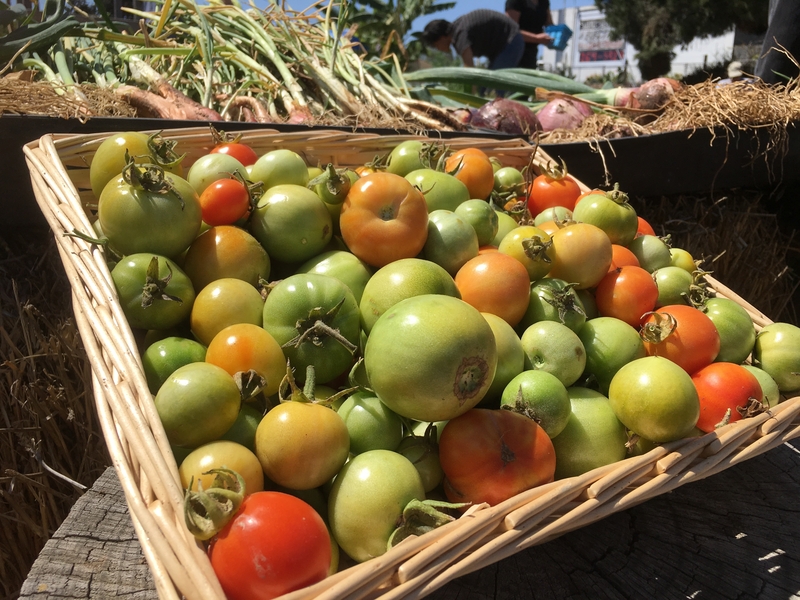 Also, like other farmers around the world, Banelino growers have a challenge developing a program to attract paying visitors to tour the farms and learn their stories. They will need to create signs and brochures in multiple languages for their visitors. They will need to work with a local marketing professional to develop a website and social media marketing campaign. They will have to analyze their costs and price their tour so that they don't lose money in the efforts. They will need to connect with the local tourism community and get included in visitor guides and tourism maps. They will need to offer familiarization tours to travel agents, tour leaders and hotel staff to entice them to refer tourists from the all-inclusive beach resorts three hours' drive away. They will have to work with their local hotel association to create an attractive itinerary for visitors to the region - enough attractions to keep guests overnight in hotels - to justify the three-hour drive. Like farmers everywhere who are considering agritourism, the Banelino banana growers will soon be part of the hospitality industry. They have a wonderful story to share of a hard-working and warm-hearted community. Please look them up if you visit the Dominican Republic.